Our Worth return air filter grilles are made with Poplar wood and are primed and ready to paint. These wood vents will accent any room with its attractive, traditional design. This return air filter grille can hold a 1" thick filter and is hidden from view by the front facing fins. This wood vent is specially designed to hide any latch or screw holes on the wall for a seamless look. The return air filter grille is also designed with a tongue and groove construction to ensure its durability and to eliminate noises. Order your wood vents to replace unsightly metal grilles which can be hard to clean. Cleaning this return air filter grille is easy because there are less crevices and corners which need to be cleaned, simply wipe down with a damp cloth. Our wood vent is also simple to install in your home by yourself. Take the return air filter grille metal frame and screw mount into the wall. next the filter and then the frame are fit snugly into the frame. 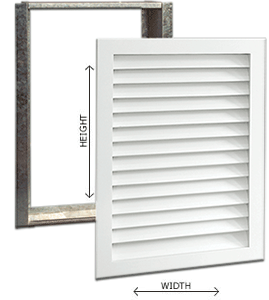 Please note these filter grilles have minimum hole openings and require a hole with at least 3 1/8" depth. See PDF with instructional visuals below. This wood vent will add the finishing touch your home needs with its cleaner and more attractive overall construction. Information video on how to measure for and install the wood filter grille. 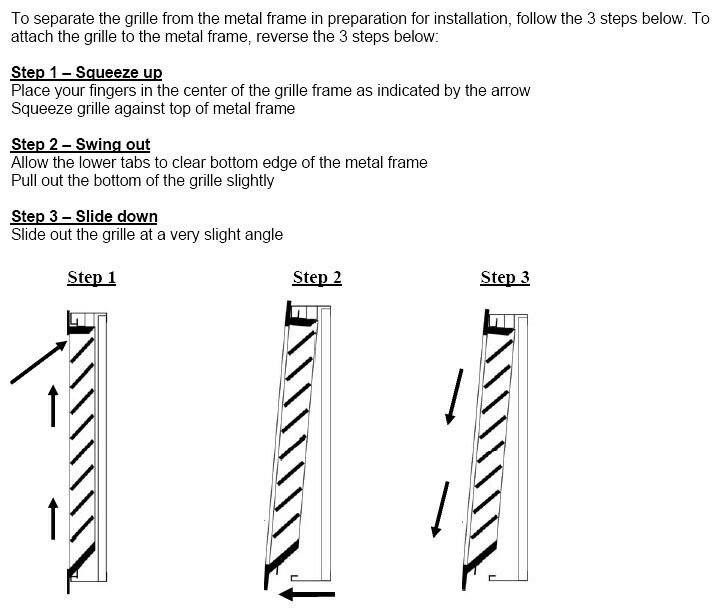 Please note these grilles have a 3" frame and will require a hole with at least 3 1/8" depth. Important: This wood vent can take about a week to ship once order has been placed. If your return air filter grille needs to be returned or exchanged after purchase, there is a 20% restocking fee. Tip: When ordering your wood vent, you must take the measurement of your wall hole opening and not your existing filter grille. Listed above are the measurements in width by height. Our other Worth return air filter grilles are offered in a stainable option for those looking for matching natural wood vents. 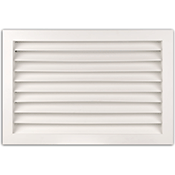 Take your home's return air filter grilles to the next level in style and functionality with this Worth vent today.